If you didn’t own a Taurus, the chances of you owning a Mercury Sable were pretty good. That was them mindset of many Ford automobile owners in the late ’80s and mid ’90s. Ford was the pioneer of V6 engines being placed in passenger cars and got away from using its famed 4-cylinder. The increase in power was instantly noticeable and business owners, dealerships and rental car agencies flocked to buy the V6 power of the Mercury Sable. Here at www.carenginesforsale.com we have Mercury Sable 3.8L car engines for sale. Our prices are awesomely low and we do a lot of business with salvage and junkyards. When you need a V6 engine, you don’t have to wait around when you use our website. We are fast, affordable and very reliable as an online seller. We rely on used and rebuilt engines to help build our reputation all around the world as a serious Ford-Lincoln engine dealer. Selling is something that happens although it is not first on our list. Quality used and rebuilt engines always come first and the satisfaction of our friendly customers. All of the problems, nightmares and horror stories that you might have read about or experienced from other sellers online never happen here. That is a promise. Some people stress over the thought of buying an engine. It should never be a hard decision to make over a used or rebuilt engine for sale. What is often the hardest part is the process of selection. Some dealers don’t have the right engine that you need and others don’t have the quality you demand. What we do is give you what we believe are the two best options online. Our used V6 Mercury engines give you the value you demand without the ridiculously high pricing. 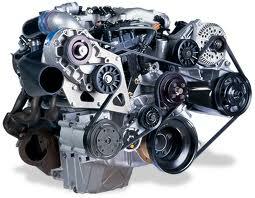 We offer a cleaned up and tested engine for a reduced cost. Our rebuilt 3.8L engines are practically brand new. You won’t have issues with them and these are easy to load up with thousands of additional miles. We get a lot of use out of our equipment and engine shop. Our mechanics spend each day of the week inside of our facility doing our building and testing. Nothing that gets built here leaves without a full round of tests. This how we know each engine is running great and why we hardly ever have to deal with a claim for an engine warranty. Getting a Mercury Sable engine from our company is safe and you don’t have to wait long to receive one. Our shipping department is also filled with passionate experts that send engines out to the world quickly and professionally. We are known for many great things in the auto world and one of these is our online quotes. Try getting an instant quote from another dealer. It won’t happen. Our quotes come fast and give you the accurate details you need to make your V6 engine purchase. You can always call 1-877-630-3873 if you want someone to answer your questions over the phone. We’re ready to help you right now.